Interested in chipped tooth repair? Ask our dentist if porcelain veneers are right for your smile. Veneers are wafer-thin slices of porcelain your dentist can bond to the fronts of your teeth that show when you smile and talk. Continue reading to learn what happens during the veneers process. We are also more than happy to answer any questions you might have about other cosmetic dentistry options. To schedule an appointment with our cosmetic dentist, call our dental office today. If you have ever felt self-conscious about your smile, you owe it to yourself to schedule a consultation with your cosmetic dentist. Your dentist will be able to evaluate your teeth, gums, jaws, and oral health history to determine what treatments are right for you. Your dentist will be able to help you explore your options so you can get the smile you’ve always wanted. For example, our dentist may recommend veneers to cover a chipped front tooth. If you have a front tooth made fragile after a large filling or multiple procedures, our dentist may recommend a tooth crown. The goal of the consultation is to find the best solution for your smile. Before your dentist can bond the veneers to your teeth, they’ll need to remove a thin layer of enamel. Otherwise, the porcelain veneers will make your front teeth look large and bulky. During your first appointment, your dentist will remove enamel before taking impressions of your teeth. These dental impressions will then be sent to an off-site lab where your dental veneers will be made. When you return for your second appointment, your veneers will be ready. First, your dentist will make sure that the porcelain veneers are the perfect color and fit. Don’t be alarmed if your dentist needs to make slight adjustments to your veneers. Slightly altering the color or fit will ensure that your new veneers look and feel natural. 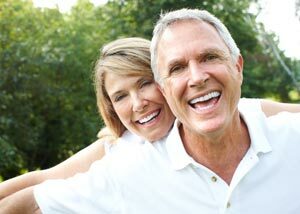 In fact, your veneer teeth can last for years as long as you practice good oral hygiene. Once your dentist is satisfied with how the veneers fit and look, they’ll prepare your teeth for the bonding process. The receiving teeth will be cleaned, polished, and etched so they’ll create a strong bond with your teeth. Your dentist will then use a special type of cement to attach the veneers to the fronts of your teeth. After removing any excess cement, your dentist will check your bite to make sure it’s in proper alignment. Once your smile has been checked, your dentist will be able to send you home with your new smile. Dr. Piotrowski DDS and his team are dedicated to helping you achieve your best smile with veneer teeth and other cosmetic dentistry procedures. To schedule an appointment with our Grand Rapids dentist, call Precision Family Dental at (616) 207-1280.